The Piano Man, Kenny Heard, will be performing Thursday, February 21 from 7-9pm. Enjoy drink specials and sing-a-long with your favorite songs. 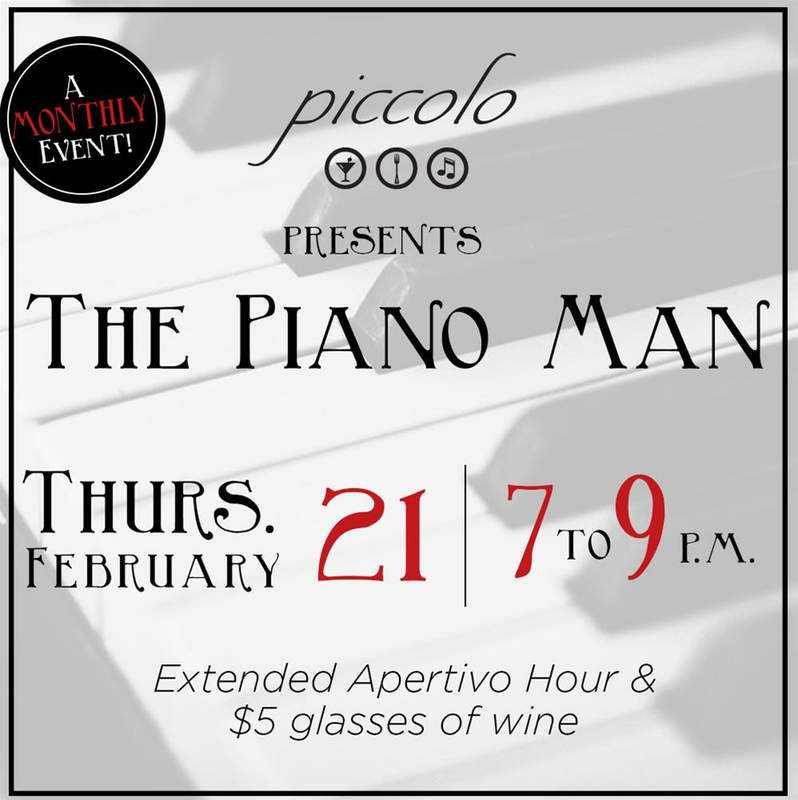 The Piano Man is a monthly event on the 3rd Thursday of the Month.